Despite a lot of turnover at DC Films following Justice League's poor box office, the upcoming slate of movies remains virtually untouched. That means somewhere down the line we're going to get Flashpoint, starring Ezra Miller's ADD-afflicted Barry Allen that Warner Bros. loved and audiences seemed kinda split on. But the film has had issues getting off the ground ever since director Rick Famuyiwa split, and it looks like there may be one other major change happening to it. 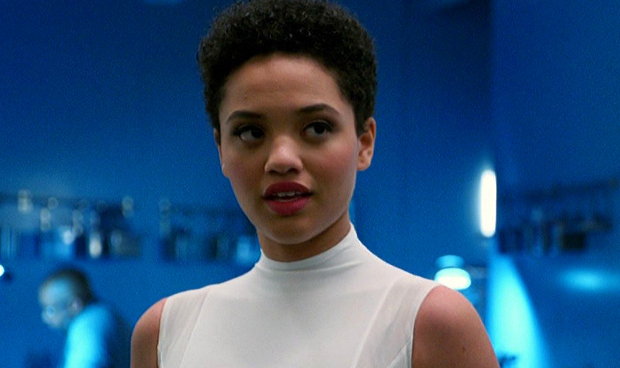 Kiersey Clemons was cast as Barry Allen's gal Iris West some time ago, and she actually shot a scene for Justice League that ended up being dropped. Ever since there have been rumors her role would be recast with a brand new actress ahead of Flashpoint. It makes sense; Clemons joined only because she wanted to reteam with Famuyiwa, who she worked with on Dope. Well now Batman-News says that that scene is being reshot with some random actress, to be included in the Justice League Bluray special features. So Flash will no longer be saving Iris he'll be saving some bystander. If the only scene Clemons shot is being redone with a new actress it's a pretty good sign that she's out. That's okay because this gives them a chance to recast Clemons as the new Poison Ivy or something, right? If she's going to be in the DCEU I'd much rather it be in a more proactive role. And who exactly is shooting this sequence, anyway?